Do you want to work on your blogs, websites, flyers and brochures but do not know where to begin? Start by registering an account with Photocase. 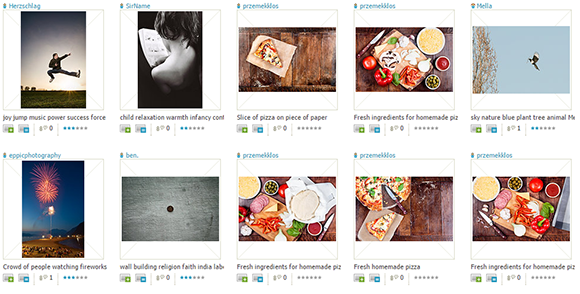 Photocase offers passionately curated images that will surely suit your atypical taste. With a user-friendly interface, it offers its users many ways to browse through its website to help them find what they are looking for – or even more. Photocase recognizes images and users with special interest and stores this information to help you find an image based on popularity. Through likes, comments, downloads, votes, links and freshness, the website is able to calculate how interesting the image is. The list of images is regularly changing based on user interaction. The more users visit the image, the higher is its interestingness level. You can also browse users by interesting users. Photocase uses the same process in determining the most interesting users as the interestingness level. This allows you to discover new photographers, find new and sensational images, and learn about different topics. Photocase also allows you to browse in its collection of the most popular images. Images can be a part of this collection based on its popularity, which is measured through likes, comments, clicks and many more. You can browse images in the Explore collection by day, month or interesting user. Photocase makes it easier for you to find images you love at a later time through your my Favorites list. How does this work? When you click the “I like it” button, the image is automatically added to your favorite list so you can find and download it easily in the future. 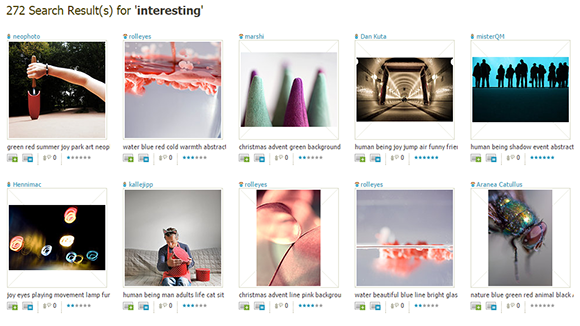 By making an image your favorite, you add to that image’s interestingness rating. Sharing information with the Liked By function, the website lets its users browse images in interesting ways. What does it do? This like button allows you to discover new images that you might not have seen. By clicking the “x people like this” link, you will see other users who liked the image and also see what other photos they liked. Can you browse images based on popularity? Of course, you can. By clicking the Explore tab in the menu bar, you will be directed to a collection of popular images. The images in this tab are ranked based on likes, comments and clicks. With these various ways of browsing images, you will surely find what you are looking for. Photocase certainly knows what it takes to make your browsing experience easier and enjoyable. What are you waiting for? Get your Photocase coupon code ready and enjoy the most interesting downloads of your life.